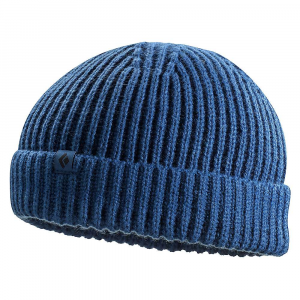 Handcrafted in Nepal, this wool hat has a generous 4 inch polyester lining band. Overall, a pretty decent hat but not one for every winter weather condition. I bought this hat primarily because of my large head size (24 1/4 inches, 61.6cm or 7 3/4, depending on what measurement you prefer). 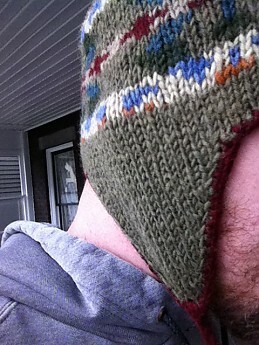 Most beanies never come close to covering my ears, so I needed a winter hat with flaps to protect my precious lobes. I've owned this hat now for six years and it has seen action in six snowy and cold winters, including three in the snow belt of the Great Lakes, including one in the ever so windy/snowy/blustery/chilly/never visit in the winter, Buffalo, NY. 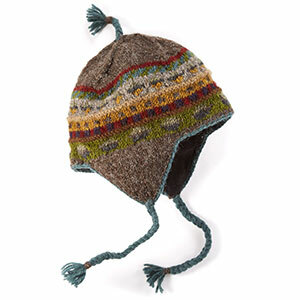 One thing that attracted me to this hat was that it was handcrafted in Nepal, not by enslaved children nor by low-wage workers, but by carefully selected craftswomen in some of the remote Himalayan villages. The company's philosophy is to promote fair trade practices and provide honest wages and health care for their craftspeople. This is a Nepal owned and operated company who exports their goods around the world. I found this product at REI and believe they carry a variety of their other winter products. 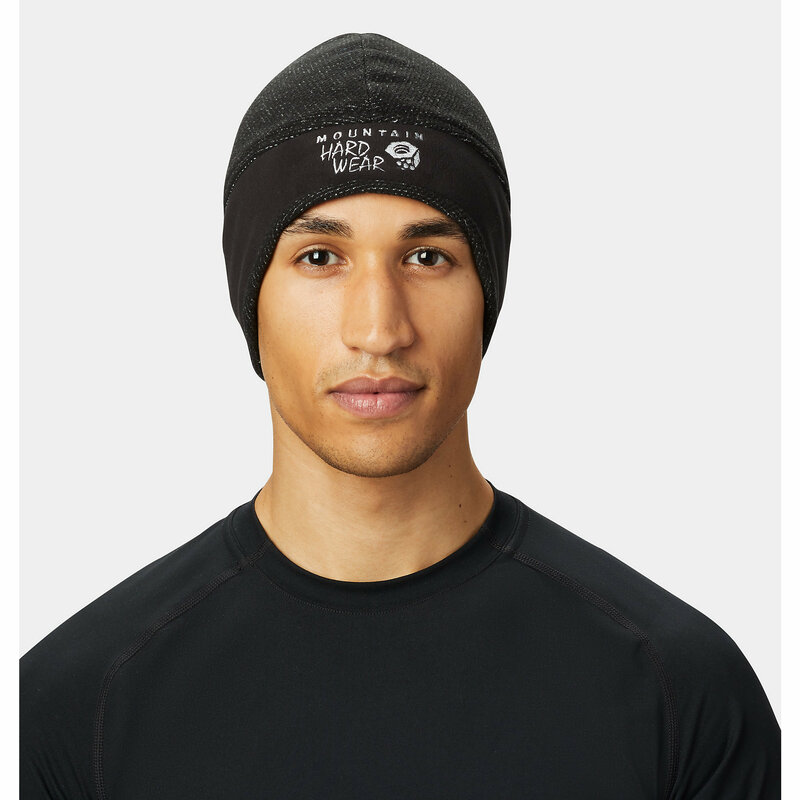 Upon purchase, there was a tag on the hat with the name and signature of the individual who created the hat. 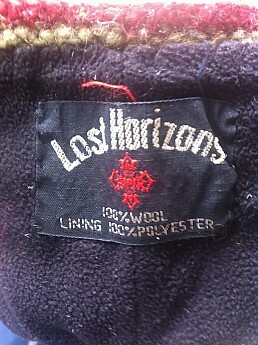 Although the label on the inside of the hat reads, Lost Horizons, the company's name as indicated by their website is actually Lost Horizon (singular). REI sells it under the plural version of the name. Okay, enough of the philosophy behind why I bought the hat, let's get to the hat itself. 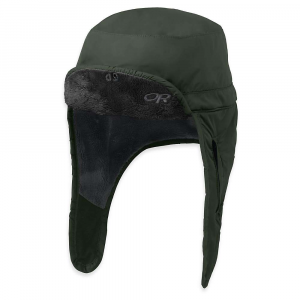 Among the best features, this wool hat has a 4" polyester fleece lining band, which also drops down into the ear flaps. 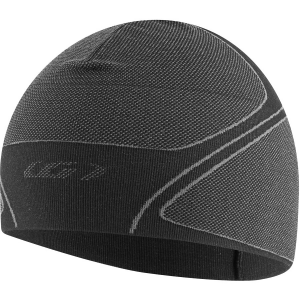 This band does a pretty fair job at wicking away moisture and a great job at providing comfort and additional warmth all the way around the head and ears. This inside-out photo allows you to see the 4 inch wraparound polyester fleece lining. 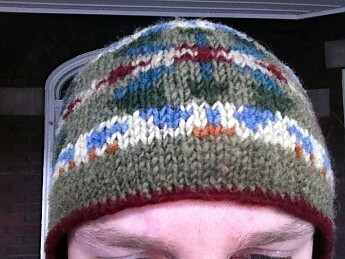 This lining is really what makes the hat so comfortable and warm. 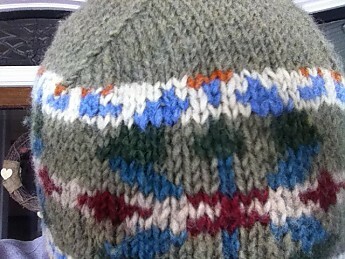 Note: this is a photo of the hat turned inside out. The wool is a fairly coarse wool, and not a superfine merino or anything like that. Think of it as the wool from that ugly Christmas sweater your grandma made you when you were a kid and your mom forced you to wear (I'm not the only one, right?). This means it's a little itchy where it comes in contact with the skin (ie: top of the head and around the piping). 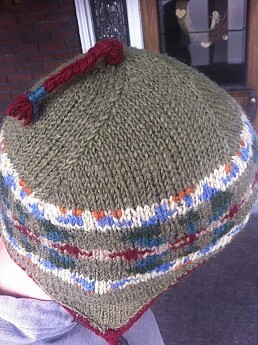 That maroon-colored piping is where the coarse wool meets the forehead. On occasion this gets a little itchy. The plus side of the wool is that it remains breathable and warm. In really cold conditions, I have tried to layer this hat with a thin fleece beanie, but because my head is so big, it didn't quite work. I suspect it would if you have a "normal" sized head, though. 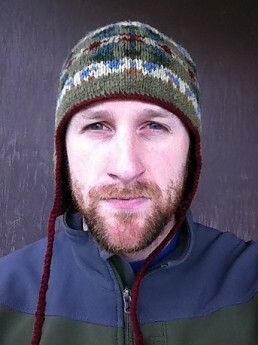 As for durability, this hat is in as good of condition as the day I bought it. The yarn is tight and crocheted in a uniform pattern. No yarn has yet to loosen or snag. 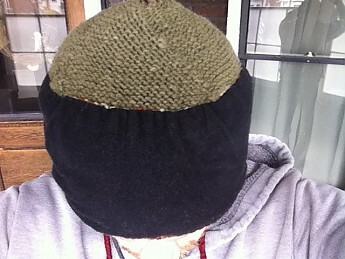 This hat is tightly crocheted. It has kept its shape for six years, never getting stretched out. I've heard it said (mostly by my family members) that earflaps are for kids, but I don't care what I look like as long as my balding head is warm in the winter. 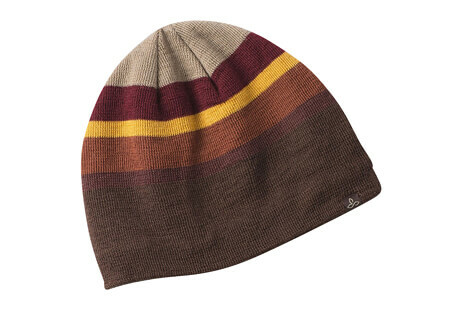 The mix of earth tones in each hat give it a nice look, totally expectable for adults, in my opinion. Because of the colors, I can wear it with different winter coats and it doesn't clash (dark brown Carhartt, dark green North Face, black fleece jacket and burnt orange vest). One feature I don't care for is the string on top of the hat that matches those that extend from the earflaps. This is sort of stupid looking. Of course, it's better than the old puffy ball on top, but I just don't see the need for a 3.5 inch piece of string sticking out of the top my head. Its purpose is to hold together the crocheting, but I could do with something a little less showy. Why does this top string have to be so long? I don't understand. Warmth: As mentioned, I've worn this hat through six winters, three in the Great Lakes snow belt, two on the east coast non-snow belt and one in the Pacific Northwest. The harsher the winter conditions, the more I'm apt to choose this hat over other ones I own (fleece beanie, wool beanie, and cotton blend beanie) . In the PNW, where the winter consisted mostly of wind and rain and temps in the high 30s and upward, I hardly ever wore this hat. In the snow belt, where it's not uncommon for an inch or more of snow to fall per hour and the temps to be in the teens and 20s, I wore this nearly everyday during my bike commute (okay, I'll admit it, I didn't bike everyday during the winter. Only on the days when the roads were reasonably plowed). When the temps and conditions are worse than that, I hibernate. The fleece-lined flaps are long do a good job keeping your ears and side-face warm. However, on a particularly windy day, the flaps will have a tendency to flip away from the ears. This exposes the ears to unwanted cold wind. The obvious solution to this is to tie the string under my chin. After all, that is why the strings exist. But I just can't bring myself to doing that. I know what I said earlier about not caring what people think about the look of this hat. Maybe I actually do care. The fleece-lined flaps are long and keep the ears and face warm, except for when an unexpected gust of wind flips them away from the face. Sorry for having to put up with my weak excuse for a beard. This is a pretty good hat that is a nice break from the regular old black beanie (which I and everyone else own). It's handcrafted in the remote Himalayans of Nepal, by people who are getting a fair wage for their craft. After six years, I still wear this hat when the winter conditions are bearing down on us and, aside from the occasion gust of wind getting under the ear flaps, my head stays warm, without sweating. I'd confidently recommend this hat to others. One more pic I'd like to see....the full hat on your head (or anyone's head). I'm seeing parts of it, but not the whole thing. STILL, it looks like a nice hat. May buy one for my wife who is always stealing my hats. Ask and you shall receive. Sorry I forgot about those photos. I should have mentioned that my wife is prone to steal this hat. She is cold all the time and dreads winter, so this is "her" go-to winter hat when we're going on a winter walk or something similar. 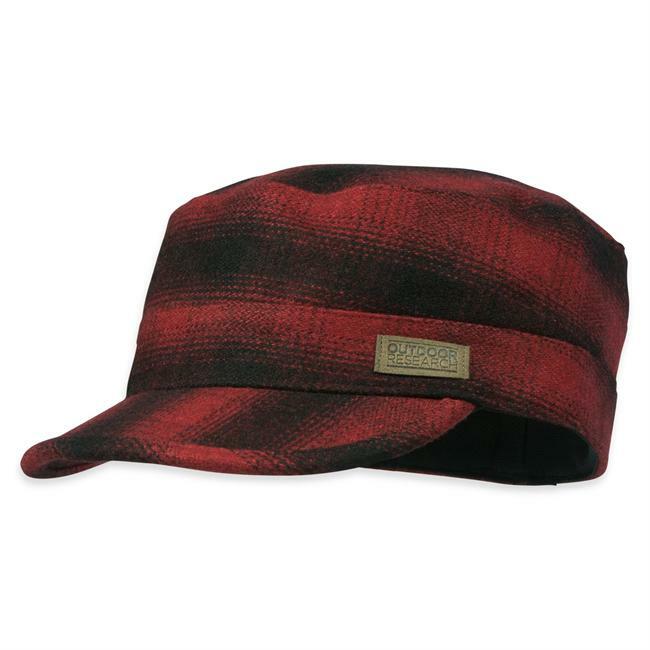 REI has this labeled as a men's hat, but really it is unisex. Great looking review, Kiwi! I have never heard of the company before, so thanks for the informative review! I like it! It reminds me of the multi-colored beanies my grandma and great aunt made me as a kid, that I still wear on occasion (I like to think I'm being retro). I'm also a fan of earflaps. Goose, buy your wife one of these and I suspect her hat-stealing syndrome will be cured. Thanks Ashleigh. I hadn't heard of them either until I stumbled upon the hat. I respect what they're doing and am pleased with the product. Alicia, funny you say that, the first thing my grandmother said to me when she saw me wearing the hat was, "When did I make that one for you?" 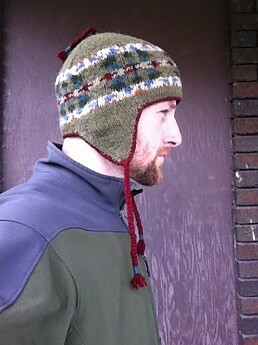 The Lost Horizon Junta Earflap Hat is not available from the stores we monitor.